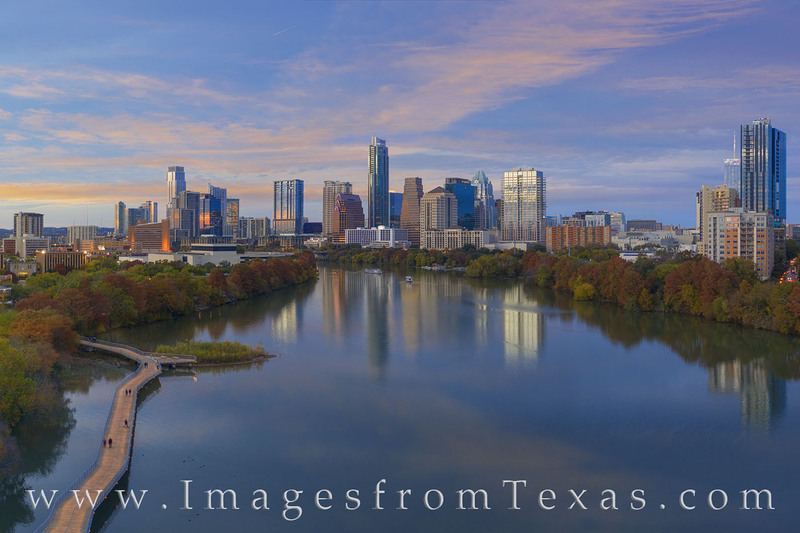 This aerial photograph shows the Austin skyline at sunset on a perfect November evening. The trees along Ladybird Lake display their autumn colors, and folks enjoy strolls along the boardwalk. Even the skyline offers some warm colors as the last light of the evening reflects off the glass. Photo © copyright by Rob Greebon.